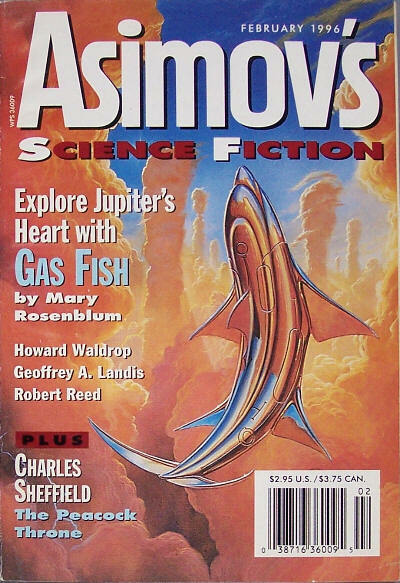 Asimovs Science Fiction [v20 #10 & 11, No.250 & 251, October/November 1996] ed. 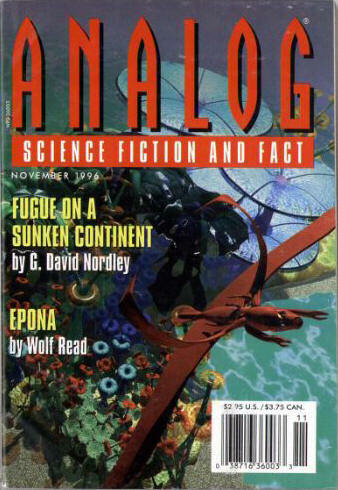 Gardner R. Dozois (Dell Magazines, $4.50, 288pp+, digest, cover by Fred Gambino) Cover given as by Bob Eggleton. 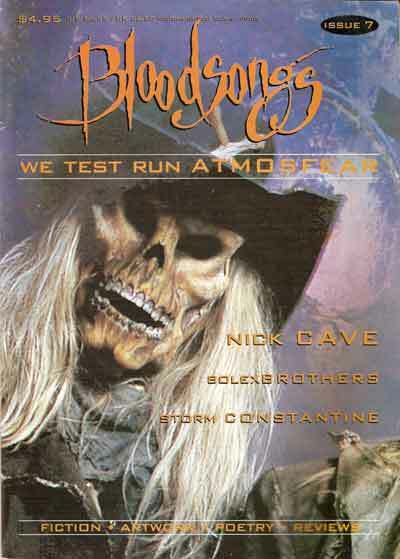 Black October Magazine [v1 #1, May 1996] ed. 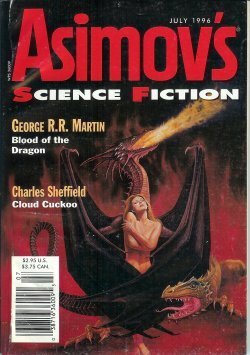 John DiDomenico (Babylon, NY, $4.95, 80pp+, quarto, cover by Robert Steven Connett) Sub-titled The Magazine of Gothic and Psychological Horror. Only issue. 21 · bolex To That! · Stephen Proposch · iv [bolexbrothers]; bolexbrothers inverview. 26 · Stalking Tender Storm · Barbara Welton · iv [Storm Constantine]; Storm Constantine interview. Bones of the Children [v1 #1, Fall 1996] ed. Paula Guran (CFD Publications; Valley Stream, NY, $5.95, 80pp+, quarto, cover by Frank Forté) Title to be changed to Wetbones with the next issue. Broadsword [#3, Summer 1996] ed. 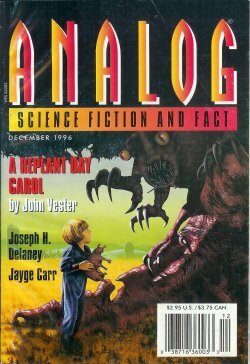 Nancy Sparling (Dreamscape International, £2.50, 39pp, A4) Fantasy magazine. Order from Dreamscape International, 132 Longbridge Road, Barking, Essex, IG11 8SL.